Say what you will about Land Rover, they are and always will be a British institution. As a powerhouse of modern motoring, they can be seen tearing up and down farmers fields and over rough terrain with a plume of dust billowing behind them. If you own one already then you won’t need any convincing, but what would you say if we told you that you could get yourself a Land Rover Camper for just under £12’000? Ahhh…now we’ve got your attention! The Land Rover Camper Could Be The Off Grid Home Of Your Dreams! That’s right folks, we’ve found a company that will convert your trusty Defender into a Land Rover Camper off grid home. Enter Paul from CamperHus, the real star of our article. Paul has been converting campers for years and has finally combined his love of tiny homes with his love of Land Rovers. 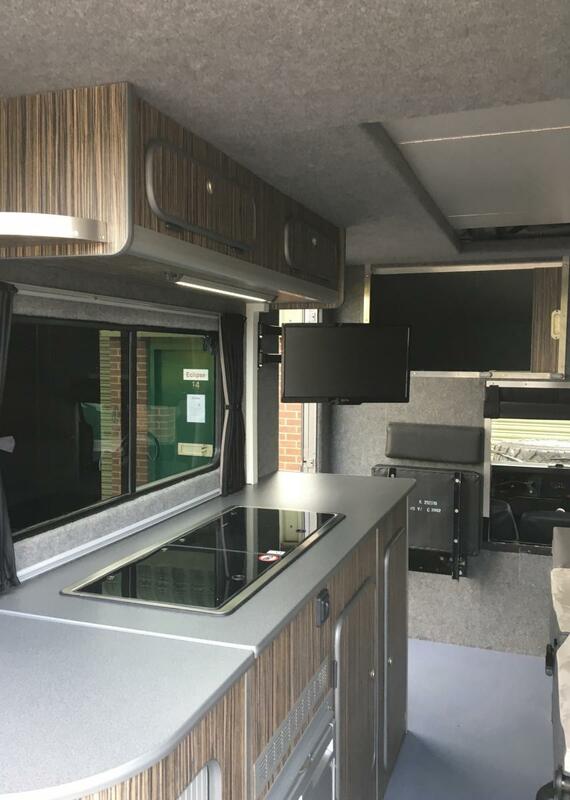 Each Land Rover Camper that Paul and CamperHus convert comes with all of the necessities that you would expect from any off grid van or camper. 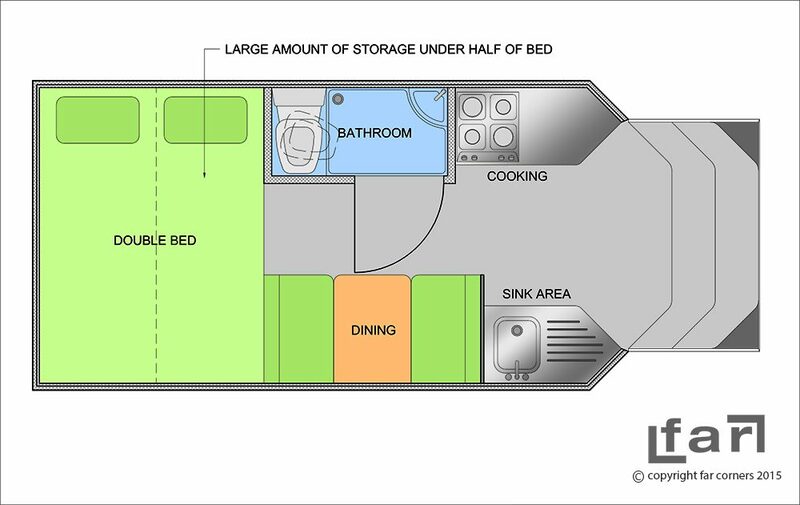 You’ll get a kitchenette area with fridge, hob, sink and storage, and a bed that measures 2m x 1.1m, which is around the size of a standard double mattress. 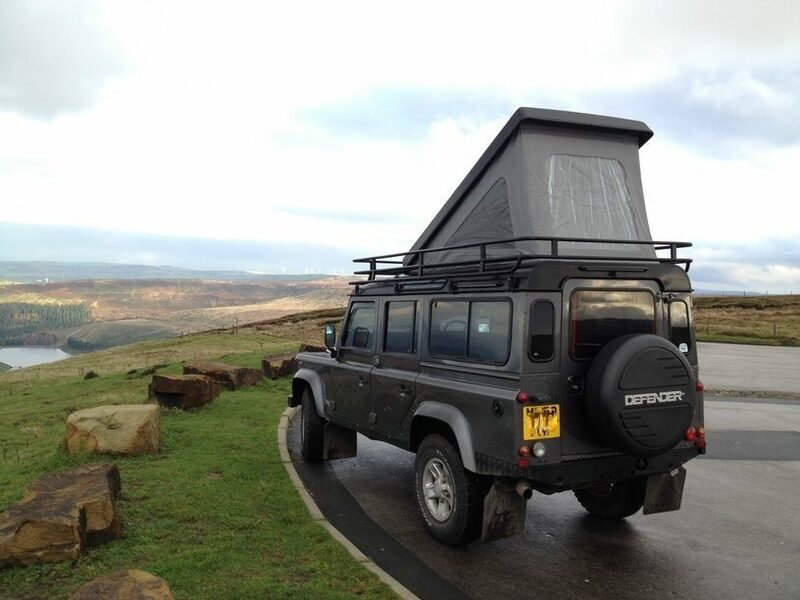 CamperHus have thought about everything when they make up a Land Rover Camper for their customers! Each of their campers comes with an elevating roof, giving you ample headroom to stand up and walk around without feeling like Gollum from Lord Of The Rings. You can also take advantage of a custom made roof rack for storage at the front of the vehicle and accessories and awnings at the sides and rear! 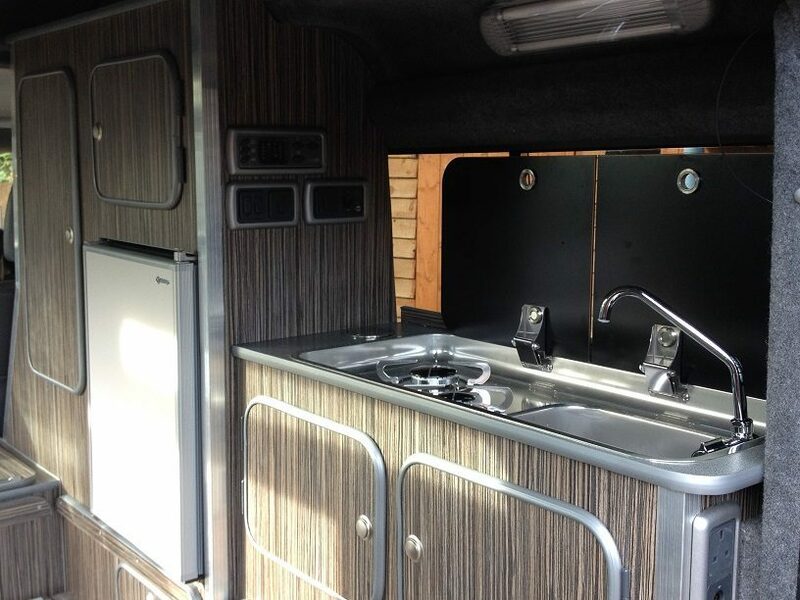 Each Land Rover Camper has oodles of storage space on the inside of the vehicle too. From storage boxes to hidden cupboards and pockets, you won’t need to have your gear taking up all of the floor space when you get back from a hard days adventuring. A tidy house brings a tidy mind…or is it a tiny house…anyway, you get the point! I’ve always relied on a foot pump when it comes to getting water up into my van sink, but Camper Haus use a Shurflo pump with a water filter for good measure! Now you can be sure that the water that you drink is germ-free and tasty! Each land rover camper can hold 36/40L of water, and there’s also enough room for a 4.5Kg gas bottle for all of your cooking. 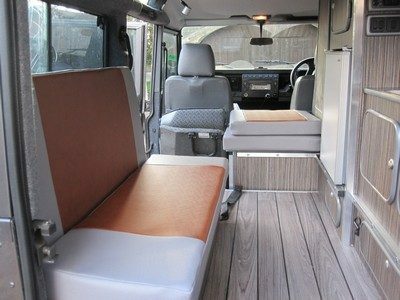 The seats fold down into a comfy looking bed, and I’m surprised at how big the bed becomes in what seems like such a small space from the outside. It’s definitely big enough for a couple to sleep on comfortable, and the elevating roof can be used as a sleeping nest for your kids (speak to Paul at Camper Haus to add this little addition into the mix). How Customisable Are These Land Rover Campers? Only if you’re planning on walking around naked, but please, this is a family publication so we’ll move swiftly on! Each land rover camper is fully insulated and wall coverings can be provided if you don’t have your own fur pelts or fancy rag rugs to hand. You can also add a diesel heater into the mix as an optional extra, safe in the knowledge that carbon monoxide and smoke alarms come as standard for that extra piece of mind. How Much Will It Cost Me To Convert My Landrover? A standard conversion will cost you £11’950. That’s it! It’s an incredibly small price to pay for converting your Defender into a fully fledged camper, and a professionally converted one at that! Some of the optional extras that we’ve mentioned along the way aren’t included in this, so if you want to add features such as 100W solar panels + charge controller or a portable toilet then the price will go up a little. Have a think about what you want out of your camper before you drop CamperHus a call. What Does The Future Hold For The Land Rover Camper? 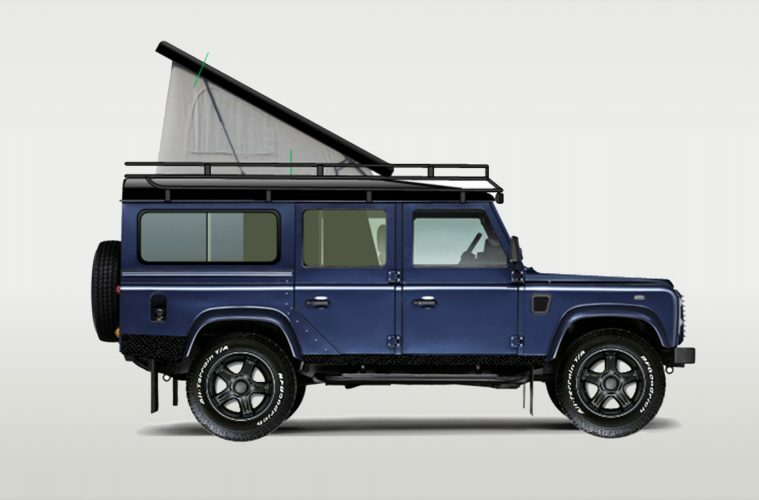 With the popularity of four wheel campers and overlanding, it’s no surprise that the Land Rover Camper could be the talk of a few concept ideas. 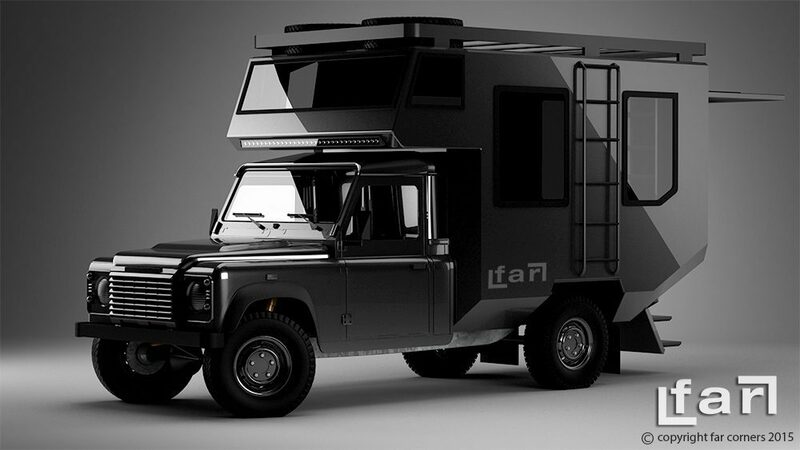 Well, one futuristic tesla bus style concept that we’ve come across is this bad boy from FAR Expedition Camper Bodies. Expanding your living space to EarthRoamer proportions, this concept would give you a custom-made home from home that is able to take on lunar terrain, never mind the rocky mountains and valleys that we might pass here on Earth! What are your thoughts? Would you rather go for the classic Land Rover Camper look, or soup up your Defender to look like the Hulk’s personal limousine? Join us on Facebook, Twitter and Instagram and let us know your thoughts! Use our Campervan Gifts guide to help you with that perfect present. These Top Cooking Accessories are a helping hand for any campsite chef. Travelling the world? You need Van Life Insurance.